London-based duo New Arcades have just unveiled their new single called "Irreparable" featuring guest vocals from Berlin-born, London-based singer/songwriter NINA. 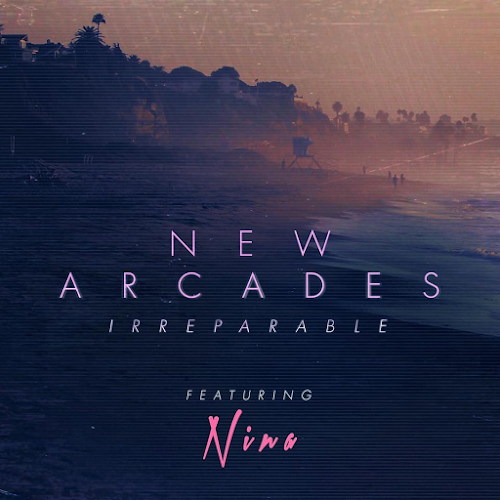 Produced by duo themsevles, "Irreparable" seamlessly blends together a perfect mix of '80s-inspired synths, cinematic pop hooks, and soaring dual vocals. "The song itself is about the break down of a relationship and it therefore being 'Irreparable'. I guess the song flows like a story painting the picture of a relationship that's become so bad, yet no party can consider why its gone so bad! Just the acceptance that they are unfulfilled and broken and putting the blame on each other, yet there's that element of hope: 'my heart is still wide open.'" Listen to "Irreparable" along with their previous single, "Fade", below.